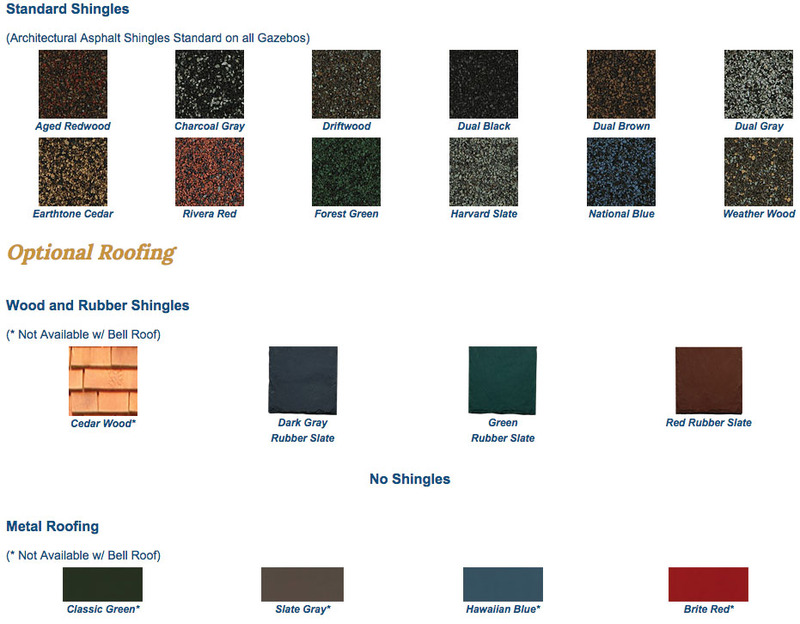 White Vinyl, Cupola, Electrical Package, Asphalt Shingles. Made from reinforced vinyl materials which require little maintenance; only occasional cleaning. Extra Screen Door: Add multiple entrance points. Specifications: Double 2"" x 4"" Rafters Our double rafters give your gazebo roof a heavy-duty load capacity and help prevent beam warping. Reinforced Connecting Plates (Stainless Steel) These brackets give your gazebo a greater snow load capacity and higher wind resistance. Reinforced Vinyl Posts These posts give the structure the rigidity needed to weather all the seasons. Stainless Steel Screws Stainless steel screws maintain the long life of your gazebo and offer a high-quality finished appearance. 2"" x 6"" Braces These braces offer additional strength and control side motion. 36"" High Rails Brings railings up from the standard 32"" to 36"". Great for higher elevations. 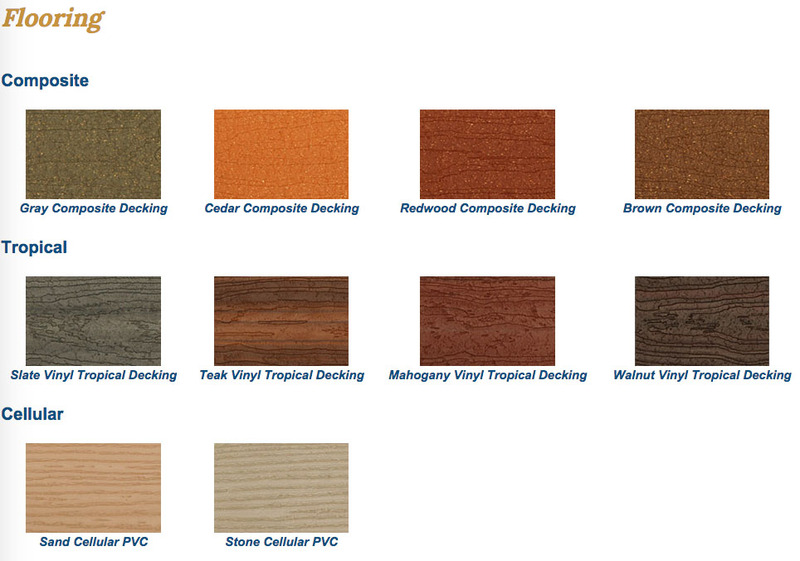 1"" Thick Composite Decking Composite decking means there's no need to paint or stain your decking with long-lasting stainless steel screws that resist rust for many years. 1"" x 6"" Tongue & Groove Ceiling This roof gives the underside of your gazebo a high quality finish, and allows for greater snow load capacity. 2"" x 8"" Compression Ring The compression ring ties the rafters and posts of your gazebo together for additional snow load capacity and wind stability. 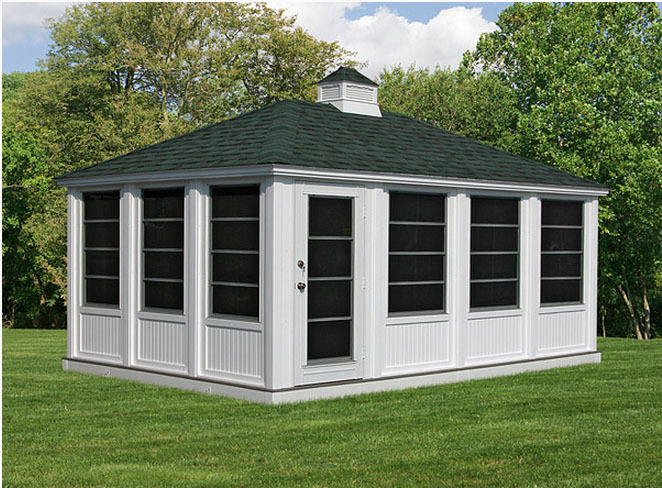 Seamless Corner Caps Give the base of your gazebo a seamless look and high quality finish. 9"" Stabilizing Screws This hidden, but very important part ties the roof and braces together for added lateral strength. Double 2"" x 6"" Floor Joists Helps prevent warping of joists and popping of floor boards. They also allow for a better straight down fastening of the floor board, giving your deck a stronger, longer-lasting life.